Each limited edition, fully poseable, 12" figure commemorates the spirit of the original G.I. 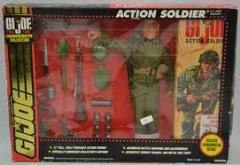 Joe "Action Soldiers" from 1964. Figures include specialized accessories and classically styled combat manuals for added action and collectability.